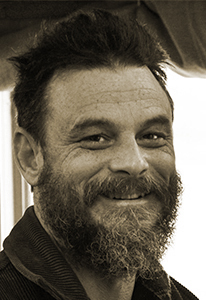 Steve Scafidi is the author of the poetry collections For Love of Common Words (Louisiana State University Press, 2006) and Sparks from a Nine-Pound Hammer (Louisiana State University Press, 2001), which won the fifth annual Levis Reading Prize. His third collection, The Cabinetmaker’s Window, is forthcoming from LSU Press in 2014. He is a cabinetmaker and lives in West Virginia.